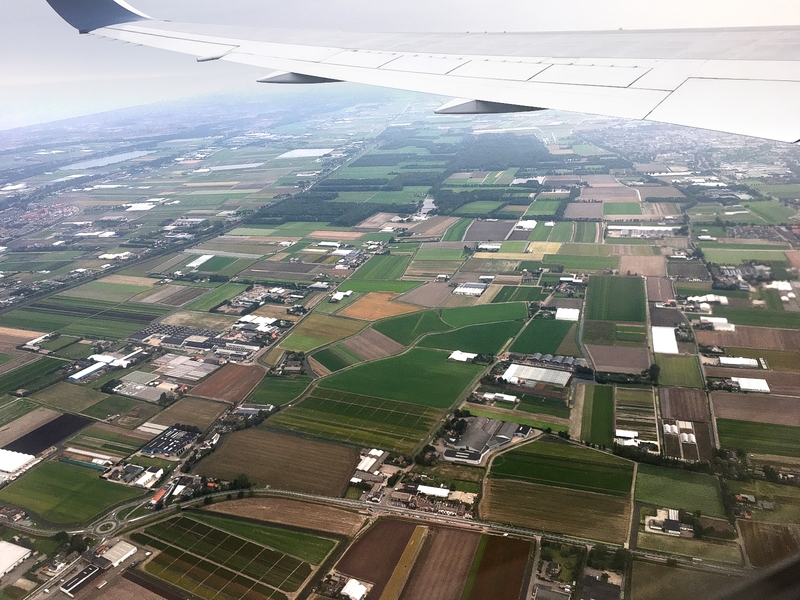 I always tell myself to be prepared for snafus when I fly, but until our flight from Amsterdam to Paris it had been years since I experienced major air travel challenges. My experience at Amsterdam Airport Schiphol reminded me of the importance of staying calm and flexible. Ten minutes after boarding for our 1:00 PM departure, we had to deplane because the plane had a flat tire. The captain assured us it would be fixed and we would be on our way in two hours. Two hours later we once again queued at the gate, expecting to board the plane and be on our way. The departure time passed and no KLM staff appeared or made an announcement. Three times we were given a boarding time, queued, saw no staff or heard any announcement about a change in departure. 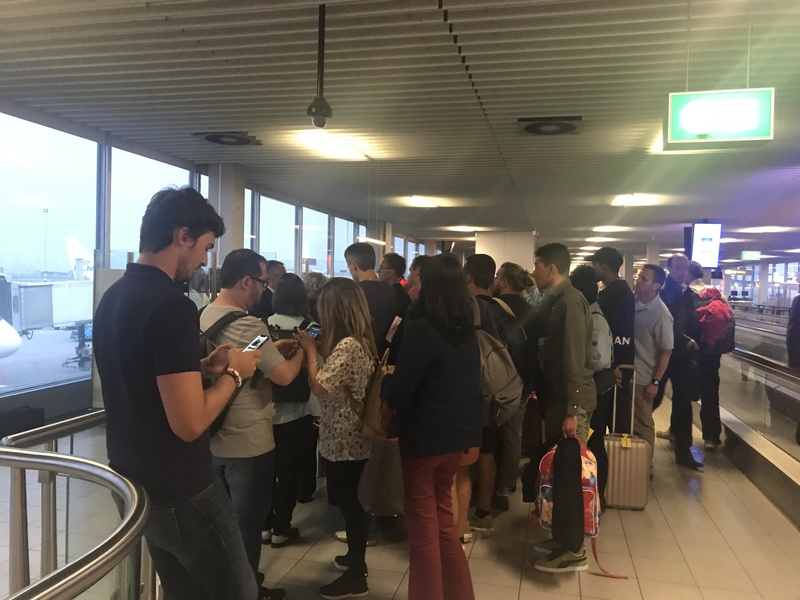 After the third departure time there was a near riot as angry passengers swarmed the information desk demanding answers. Eight hours after our original departure time, our flight was canceled, and we rescheduled another flight the next morning. 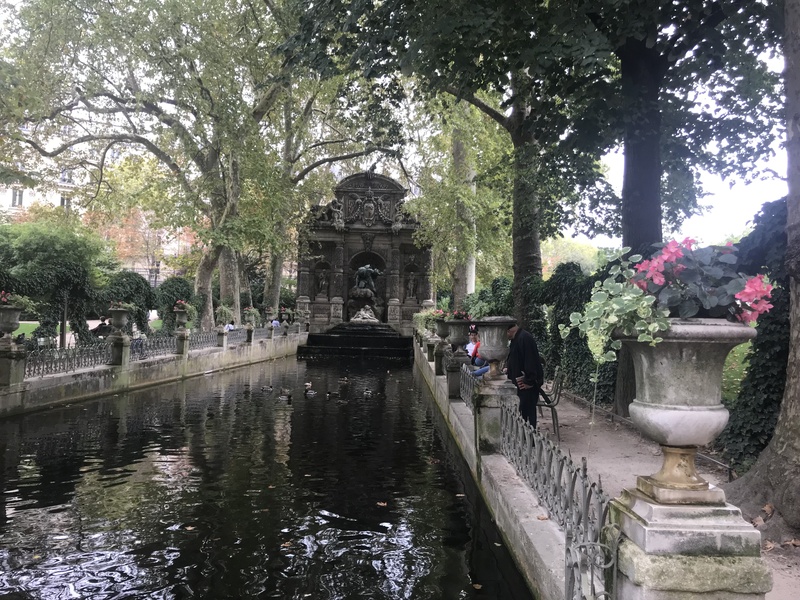 The next morning our new flight departed almost on time, and we finally arrived and moved into our Paris home-away-from-home by the Luxembourg Gardens. A few hours later our friend Scott arrived and we explored our neighborhood. 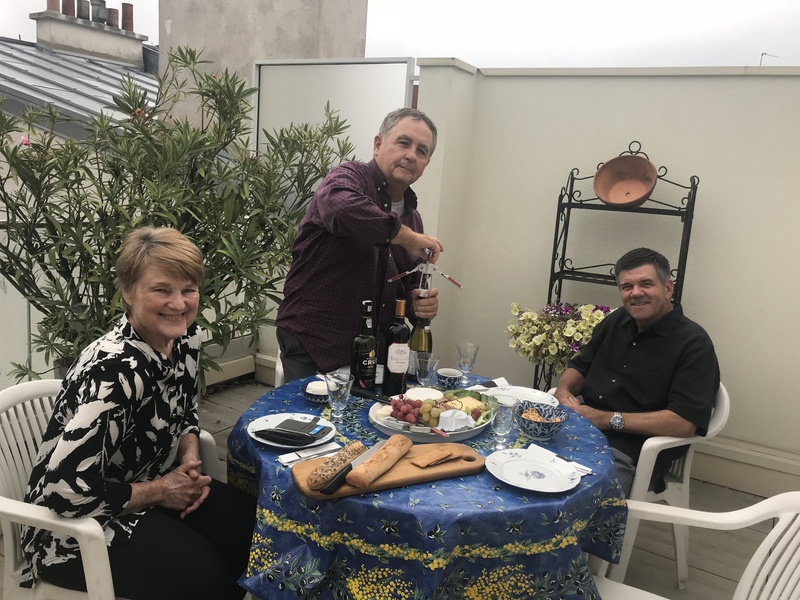 That evening we went to my dear friend Moira’s home off the Rue Cler for wine and cheese. By the end of the evening we had forgotten yesterday’s travel woes. 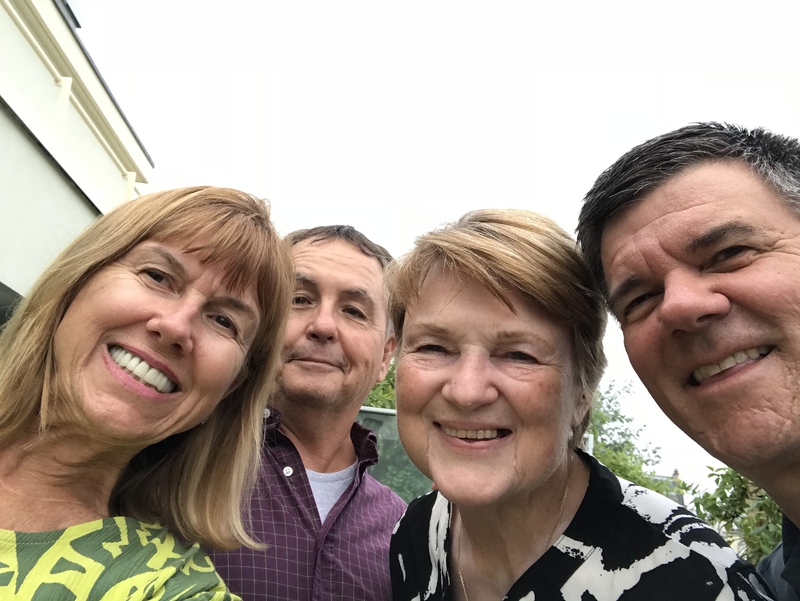 This entry was posted in France 2018 on September 6, 2018 by debbie.